We only have one campaign to bring you this week but it's a great accessory for Firestone's Game of the Year for 2017: Gloomhaven. Let's check it out! We're big fans of Quiver Gaming Gear. Their mats are terrific, and one sits on our gaming tables 100% of the time. That's why we were so excited to hear that they'd partnered with Cephalofair Games to make these officially licensed mats. Each 12.75" square mat has a place for you to keep your player board; active, discarded, and lost cards, modifiers, items, conditions, and more. The great thing is that they don't add more of a footprint to what is already a table hog of a game. They just help you keep your piece of the hog organized. And with as many times as this game will get played, that's a welcome addition. 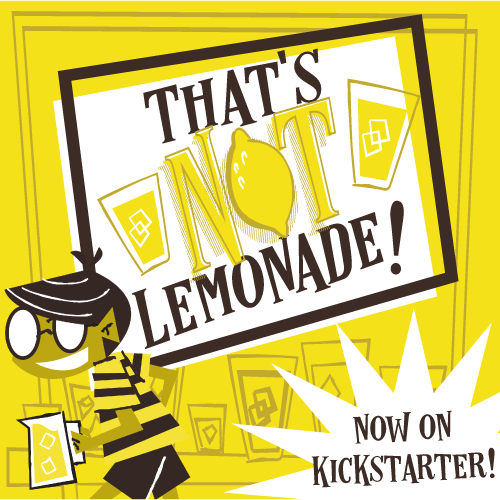 This one's already funded, so jump on board and get organized! Are you going to back this mat? Are there some great campaigns we missed? Let us know in the comments. And thanks for reading!